This recipe will allow easy setup of the NOOBS configurations and allow you to switch between GUI based installs and automatic ones, as well as selecting which custom flavour you want to automatically install. It also provides a way to quickly add the standard set of Pi-Kitchen flavours to a new clean NOOBS card. It’ll even allow you to pre-select the display output NOOBS will use (although NOOBS 1.3.10 has a bug which ignores the video setting from the cmdline file, this should work for other versions of NOOBS, including any new ones). This is a recipe which will allow a huge amount of customisation to your setup. Enabling scripts to run on first boot (for automated installations etc), scripts to run on start-up and a run-once option (for installations which need user input) this recipe will be very useful. It even allows scripts to be automatically from from the RECOVERY partition (so you can drop files on there from windows and they will run next time you boot your Raspberry Pi). This allow you to pre-set a number of display settings (and other settings) which are set in the config.txt file of the boot partition. This includes a script, switchdisp.sh which allows easy changing once installed on the Raspberry Pi. 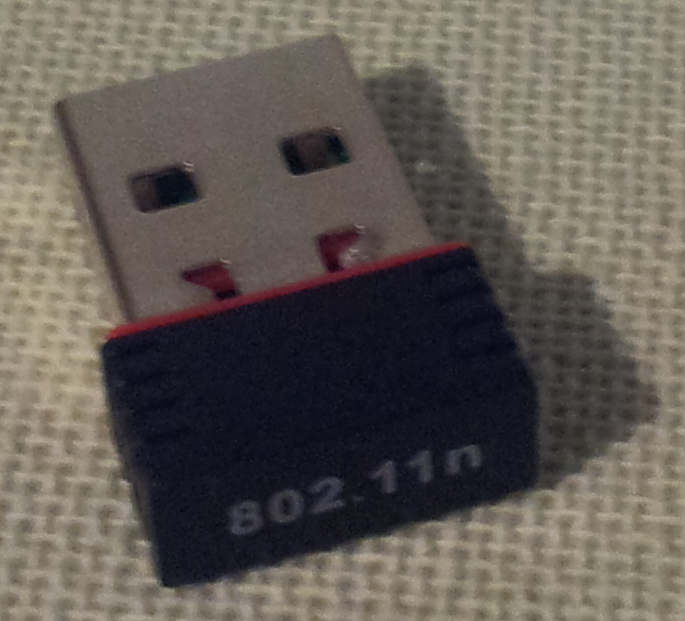 Note: This also fixes the forced HDMI settings which NOOBS 1.3.10 adds, even when composite video out is selected. 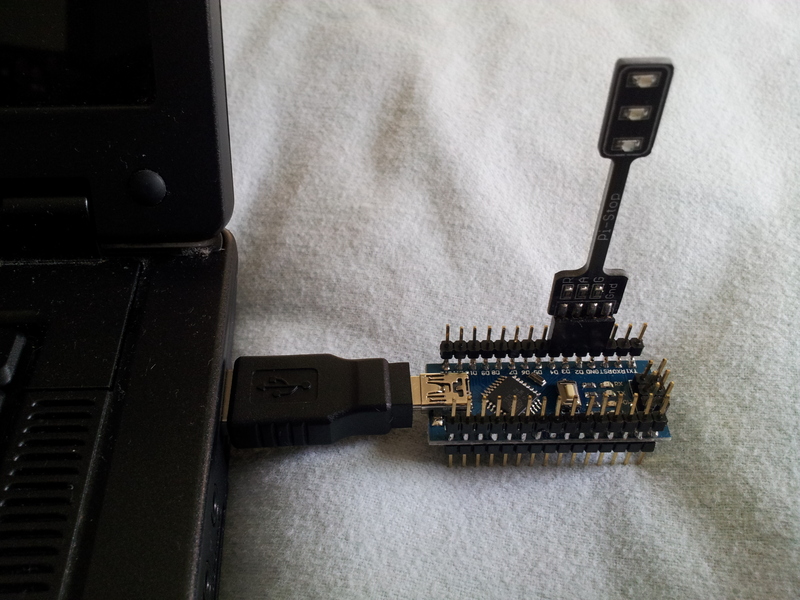 This implements a recipe which allows easy setup of a direct network connection between a PC or Laptop and the Raspberry Pi (including sharing the PC’s Wifi network connection). Once you have your configuration setup, you can install and connect to your Raspberry Pi, right out of the box. Laptop connected to internet via WiFi, share Wifi using ICS with Wired Connection, use Wired Connection address as Gateway (and part of RPi IP address). This also includes a script switchip.sh to change configurations and to select standard network settings (as required). The last few weeks I’ve been very busy working on a new concept which I’ve been using for months. The groundwork is now in place and I’m ready to start sharing some of the results. I hope that people give this a try and find it useful (I know I have and is now something I use all the time). It also lives on GitHub, so I hope it will also grow as others submit their own recipes. Have you created that perfect setup on your Raspberry Pi and then needed to update or reinstall your card? Ever wanted to share your creations with others without having to go through all the trouble-shooting that typically comes with it? Would you like to be able to use the same setup over and over without needing to clone SD-Cards? 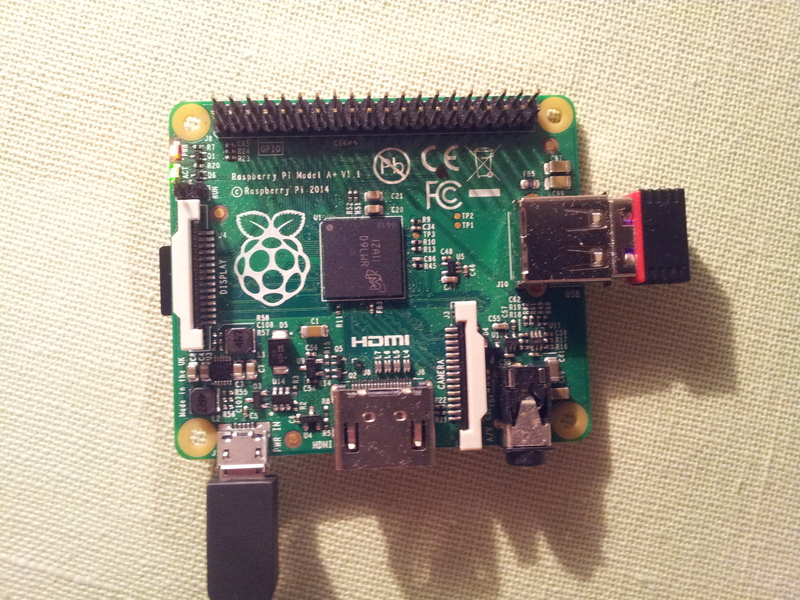 Do you want your Raspberry Pi SD-Card experience to just be simpler right from the start? Well, welcome and come into the Pi-Kitchen! The aim of the Pi-Kitchen is to provide a new way to customise and build your SD-Card even before you power up your Raspberry Pi. It should allow you to bake your own bespoke installation which is ready to go right off the first power up, up to date and fully loaded with whatever you desire. The overall concept for using the Pi-Kitchen is to provide a wide selection of “ingredients” from which you can select and include in your very own special “recipe” for your own perfect SD-Card. In theory, you will be able to mix and combine the various ingredients (=a particular feature/setup) with other ingredients, to create that perfect blend of special spices to go into your recipe (=your desired setup). The key difference to the standard method of building custom images is the that source files (the ingredients) are kept separate to the installation (the recipe). This means we are free to mix and combine them how we wish. Since NOOBS supports the installation of flavours we can (if we want to) create a range of flavours each using a different recipe, all drawing from a common set of ingredients. The Pi-Kitchen works using standard files making it easy to edit, adjust and re-configure your setup (even from OSX/Windows or directly from your Raspberry Pi). Of course once you are happy, you can also tar-ball (compress) everything as desired into a single package. The Pi-Kitchen uses a small modification to the scripts used by NOOBS to perform an additional step in the installation process, allowing us to inject our own files into the final installation (without having to edit the standard images or create custom flavour images). In the most basic setup, we replace one file in the standard NOOBS install, and then just add the files we need. A huge thanks to Kevin Hill who created NOOBS-config which performs the magic, and has kept modifying it to fit in with my ideas/plans for it. Also thanks also goes to the NOOBS team (Andrew Scheller etc) who created NOOBS in the first place. NOTE: We do allow the Pi-Kitchen to break the golden NOOBS rule about not messing with the recovery partition (and in some cases we are actively encouraging it) so these methods will probably remain outside of the standard NOOBS system. 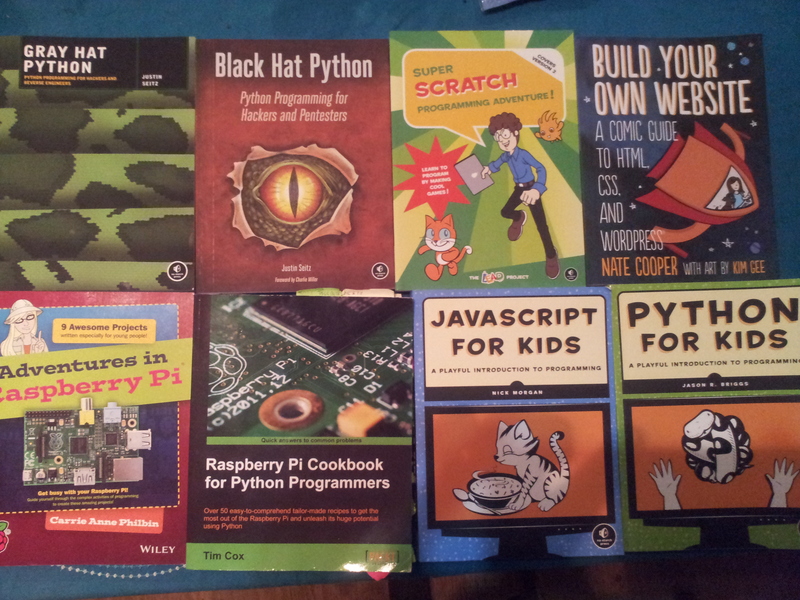 What can the Pi-Kitchen do? Injection of network and WiFi settings so we can have full networking and remote access enabled immediately. Create installations which can be run without a network but can be easily updated when required. Pre-load the installation with relevant data-sheets, resource materials or web-links. Ability to share and develop common ingredients with others. and probably a lot more we’ve not tried! The bonus is, that once you have got something setup and working, you don’t need to keep doing it each time you create a new installation or perform clean install. Take a look in the subsections for examples and ideas, and bake your first SD-Card. Pi-Kitchen: Getting Started – explains how to setup a very basic Pi-Kitchen setup and how everything works. Pi-Kitchen: Creating Flavours – explains how to extend your setup to use flavours, expanding your Pi-Kitchen to support multiple setups. 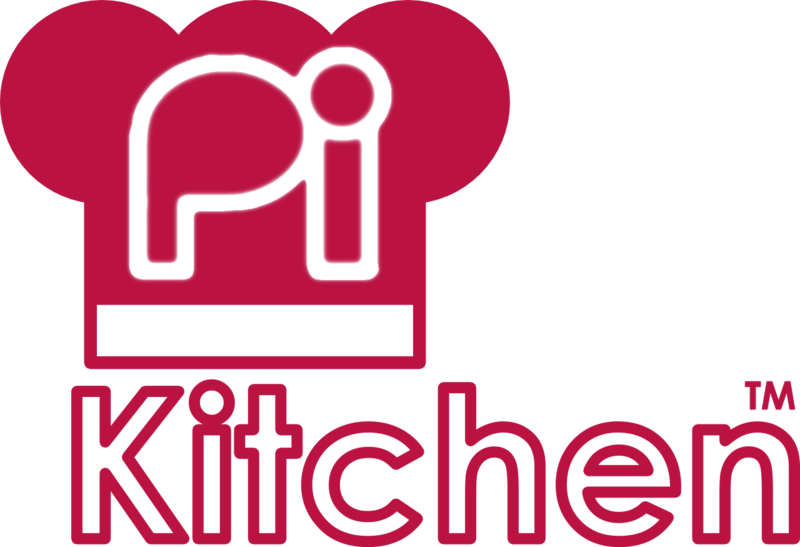 Pi-Kitchen: Automatic Installations – explains how to configure the Pi-Kitchen to perform an automated install of your preferred setup. Recipe 001 – Direct Network – The first recipe for the Pi-Kitchen finally provides an out-of-the-box direct networking solution (based on the Super Easy…Direct Network Connection guide). 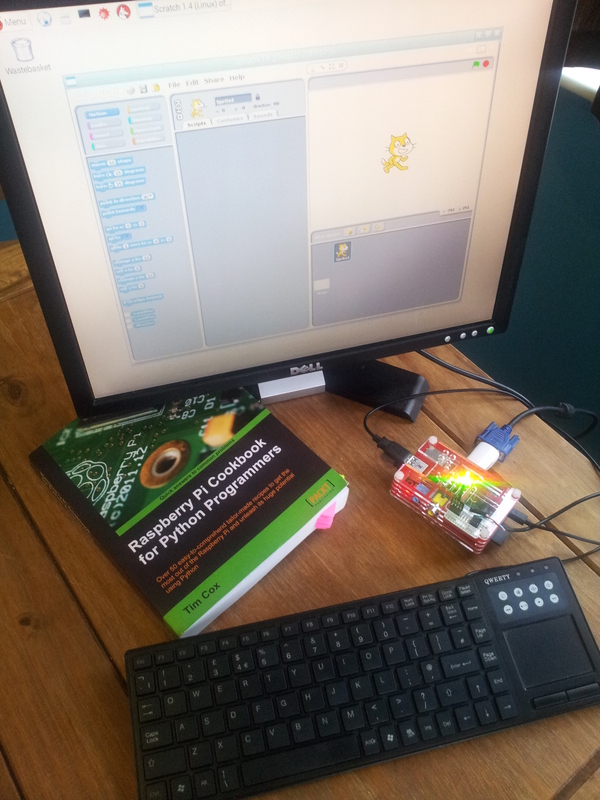 I will have a Quick Start guide coming very soon too, as well as lots more of the recipes I’ve been using on my own Raspberry Pi! Also don’t forget to let me know how you get on. UPDATE: The Pi-Kitchen: Quick Start is now available too!